His ashes will be interred by the graves of fellow scientific giants Isaac Newton and Charles Darwin. Applicants need to fill in a form online and state their date of birth, Xinhua news agency reported. Till now, over 10,000 people from over 50 countries have applied for tickets. London blogger IanVisits was among those who noticed that the application allows people born more than 20 years into the future to come. "Look out for time travelers at the Abbey," the blogger said. Hawking once held a "time traveler party" back in 2009, but no one turned up at that time. A legendary figure in the modern history of physics, Hawking, who died at the age of 76 on March 14, 2018, is known for his work with black holes and relativity. He authored several bestsellers on science, despite being bound to a wheelchair after contracting a motor neuron disease in 1963 at the age of 21. 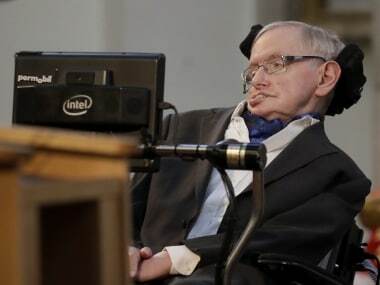 He broke new ground on the basic laws which govern the Universe, including the revelation that black holes have a temperature and produce radiation, now known as Hawking radiation.